A forward sortation area (FSA) is a way to designate a geographical unit based on the first three characters in a Canadian postal code. All postal codes that start with the same three characters—for example, K1A—are together considered an FSA. The first character is a letter that identifies the province or territory (although Nunavut and the Northwest Territories share the letter X). 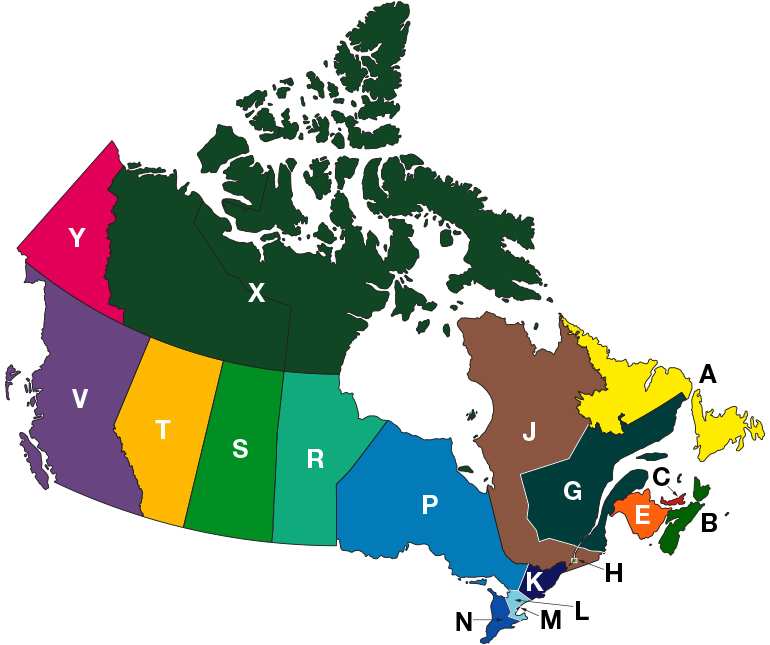 For Ontario and Quebec, this first character further identifies a particular part of the province: for example, G identifies Eastern Quebec, H Metropolitan Montréal, K Eastern Ontario and M Metropolitan Toronto (see map). The second character is a numeral that identifies whether the area is urban or rural. A zero indicates a wide-area rural region, while all other digits indicate urban areas. The third character is a letter that, in combination with the first two characters, identifies a more precise geographic district—a specific rural region, an entire medium-sized city or a section of a major metropolitan area. Note: The regions are defined by Canada Post Corporation.